Three of our school's librarians were busy at work when I popped my head in. I was looking for something that would stretch my girls, just a bit, and asked them for their recommendation: "Do you have a good scary book I could borrow?" Now, that's not a question I would have asked quite that way at our local library. I might have ended up with a book about vampires, or demons, or werewolves, or vampire demon werewolves. But here at our Christian school, what I ended up with was a book about a cat....with a surprise ending. I was looking for a scary book because my daughters need to learn how to deal with a little tension in their reading. Fancy Nancy can be fine, but in her world everyone is quite nice, and the problems they face are quite trivial. In real adventure stories there are dragons to be slain, Nazis to be fought, and dangerous journeys to embark on. I want to start on some of those sorts of books, but before I do, I need to get my girls used to a little more drama in their bedtimes stories. So that's a long way of introducing a very short story. There are just 119 words in this 32-page book, and I'm already past that in this review. And I haven't even told you about the book! Since this is for children, I'm not going to feel bad about letting you parents know what it's all about, including the end. 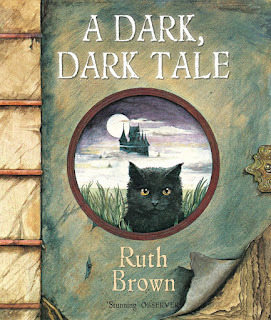 It all begins in a "dark, dark moor" and moves on to a "dark, dark wood" and a "dark, dark house" and etc. and etc., until we are finally in an upper room of the house, peering in a "dark, dark corner"of a "dark, dark cupboard" where "there was....A MOUSE!" I had a cold when I read this, so my voice was particularly gravelly, which only added to the reading. 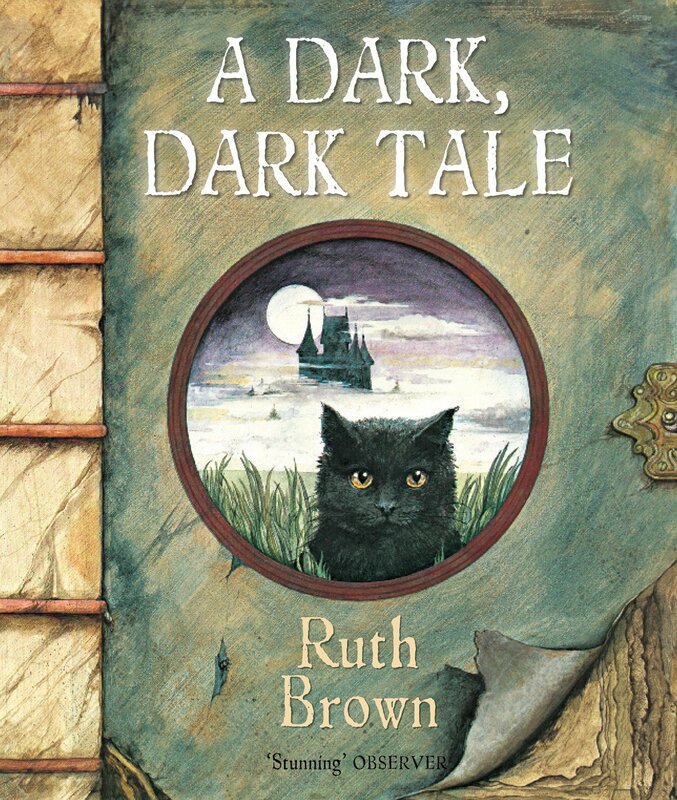 Ruth Brown's pictures are moody and somber, and the "dark, dark" repetition sets up the unexpected joke ending, with the mouse all tucked in his bed in the corner of the cupboard - we were expecting some kind of scary monster, but instead end up with a cute mouse. That makes this the perfect balance of scary and yet not too scary. (For a second reading, you can ask your children to spot the cat, which is on all but two of the page spreads). Since this so very short, it is an ideal one to borrow rather than buy. It is also popular enough that your local library is sure to have it. However, if you do want to purchase it, you can get it from Amazon.com here, and Amazon.ca here.